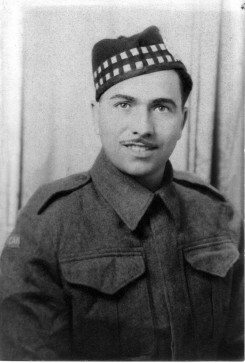 Burnell Hedberg served with the Lincoln Welland Regiment. He was from Saskatchewan and lived in Thamesford after the war. Wounded in the Netherlands, he was sent back to Canada to recuperate at the makeshift hospital set up at Crumlin Airport in London. It was here he met and later married June Karn who served in WW11.